We had stunning weather for Hugo’s Masterclass on Landscape and Colour in Dorset. 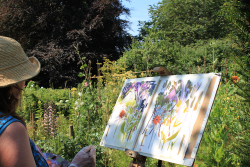 The beautiful gardens at Milton Mill offered an abundance of inspiration and subject matter for exploring the use of colour. Students were encouraged to use paint as a language to express their experience, experimenting with new ways of using colour and new ways of regarding subject matter. 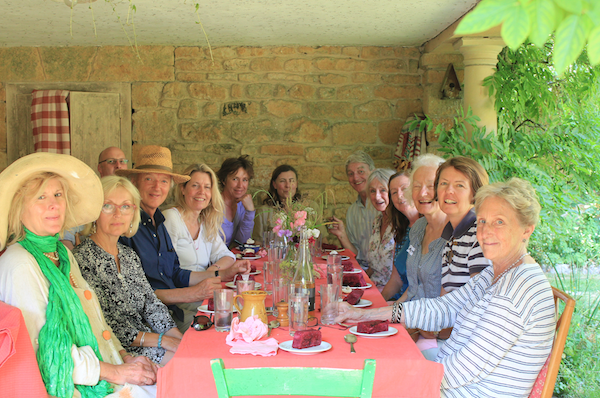 The group enjoyed freshly prepared lunches each day, and the opportunity to discuss and exchange ideas which created a very supportive environment in which to explore Hugo’s teaching. To keep informed of future Masterclasses click here to sign up to our mailing list.